OUR PRICE: $85.68 - Join Rewards Get $8 Dance Dollars On This Item! 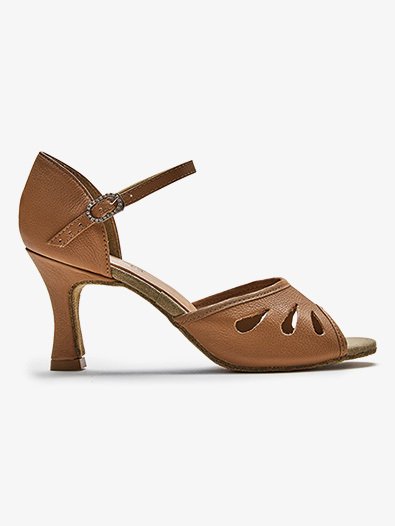 Move to the rhythm with the support of the "Remy" ballroom shoe. Features include an open toe, front cutouts, leather upper, a rhinestone buckle closure, and a 2.5 inch heel.